It never fails – a gun is used in a high visibility shooting like in Orlando last week, and the democrats and others immediately want to ban guns. I would be more willing to listen to them if they didn’t make silly, inaccurate statements and tell plain flat out lies about guns. If nothing else, the claims that the killer last week was anything but a terrorists makes those making that claim lose all credibility with me. When they further say something stupid along the lines that automatic weapons should be banned I know they are not rational. Private ownership of automatic guns has been almost completely banned in the US since June 26, 1934. The federal law that went into effect 82 years ago means, if you want to buy an automatic gun, you have to get a special federal firearms permit for each one you want. And those permits cost $2000 per gun! The law is so restrictive that, even after the FBI investigates you and approves you for a permit, you can not carry that gun across state lines without getting permission each time. The “gun show loophole” is another myth pushed by the gun banners. It is common to hear something like “If you buy a gun at a gun show you should have to go through the background check.” You do, under current law. To sell guns you have to possess a federal firearms license (FFL) and run a background check on every sale. Saying the gun show needs to run a background check is like saying a mall should sell you shoes. Just like at a mall, businesses rent spaces and sell their products. So you can buy shoes from a business that sells them in the mall just like you can buy a gun at a gun show from a business that sells them, and they have to run the background check. How about those “private” sellers or “unlicensed gun dealers” many whine about? An individual can sell a personally owned firearm without a background check at a gun show or anywhere else. How many guns can an individual sell before they must have an FFL? Federal law makes it a felony to buy even one gun to resell without an FFL. So its pretty hard to get inventory without becoming a felon if you want to become an unlicensed gun dealer. Facebook as gotten into censorship over this in a big way. Several of my friends and I posted or shared something comparing so called “assault weapons” and hunting guns. It listed all the ways they are the same and the ways they are different. It pointed out the only difference is the way the gun looks. Nothing but a list of facts, but apparently the powers that be at Facebook disliked it and censored it from all our pages. If you can’t provide facts to back up your opinion, censor the facts that go against your prejudices. One brain dead congressman claimed the gun used in the killing in Florida could fire 700 rounds per minute. Even if you know nothing about guns you should be able to see how stupid that is. That amounts to almost 12 rounds per second. Any rational thought given to that number shows it is not possible, just another irrational claim to scare people about guns. All the silly claims about banning guns to protect you and to keep terrorist and criminal from getting them is nothing but an effort to distract you from the real problem. Take the shooting in Orlando. The guy had been checked more than one time by the FBI and cleared and taken off the ‘no fly’ list. The FBi was notified a man was trying to buy level 3 body armor – the highest level “bullet proof” vest civilian can buy, but they didn’t follow up because they said they didn’t have enough information. It turned out to be the mass shooter. Even if there was some way to stop selling guns some folks imagined to be “semiautomatic assault style weapons,” which means any gun some find objectionable because of their looks, and confiscate the millions already in private ownership, what effect would it have? Those kinds of guns are totally illegal in France. Yet 130 people were killed by terrorist using them last November. The got them into the country and to a concert and other public places in spite of the total ban. Geraldo Rivera said on the news last Friday that we need to do something about “semi machine guns.” President Obama aaid the terrorists had “a Glock with a lot o clips in it.” With gun banners saying stupid things like that, it makes me totally ignore them since it is so obvious they do not know what they are talking about. This entry was posted in Book Reviews, Guns and Gun Control on June 29, 2016 by ronniegarrison. 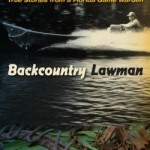 Does BassMaster Still Send Out Unsolicited Books? NO, I know exactly why BASS sent it – they hope I will send the requested $9.95 for this book, which also signs me up for a book club. They will keep sending me books every month or so and charging me an unspecified price. It is amazing how fast those book club books build up and how much you will end up paying for them. I will not pay for it, nor will I return the book. The letter does state that I do not have to pay for the book or return it, which is nice for them to admit since that is the law. You do not have to pay for or return anything sent to you that you did not request. I have received something like this from BASS for the past five or six years and I refused to pay for any of it or send it back. Looks like they would learn, eventually. This entry was posted in Bass Fishing, Book Reviews, Fishing Product Reviews on April 25, 2014 by ronniegarrison. The Ebooks below are each about one lake in Georgia. Each one contains twelve chapters, one for each month of the year. For each month there will be a map of the lake with ten bass fishing spots on it, GPS coordinates for each and a description of how to fish it and what to use. There is also an introductory section with a little information about the fisherman that gave the ten spots and how to fish them. The fishermen include area guides, professional bass fishermen from the area and local fishermen that fish the lake often. Their tips on lures and fishing methods will help you catch bass any month of the year. You can read the books on your computer, ebook reader and smart phone. You can also print out the whole book or a chapter to take with you on a fishing trip – click the link below the list for instructions. 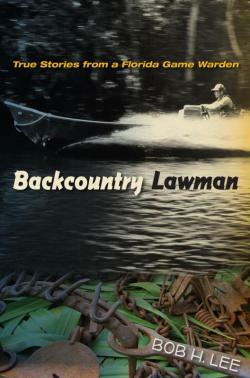 This entry was posted in Bass Fishing, Book Reviews, Fishing Information, Products on July 22, 2013 by ronniegarrison.